Doug Rushing Realty of McComb and Tylertown Mississippi announce merger with long time McComb Real Estate Broker Wild Realty. 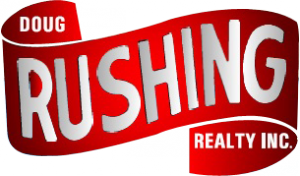 JACKSON, MISSISSIPPI, UNITED STATES , April 11, 2018 /EINPresswire.com/ -- For over 30 years, both the Doug Rushing Real Estate Agency and Wild Realty have provided unparalleled real estate services to the residents of Tylertown, McComb, Jackson and many other areas in Southwest Mississippi. The two powerhouse agencies recently announced a merger, joining forces to better provide their current and future customers with the great service, welcome hospitality and enjoyable real estate experiences. After working on various real estate deals together in the past, and becoming more personally acquainted within recent years, Watkins "Noggin" Wild and Alan Bridevaux of Doug Rushing Realty began working together approximately one year ago on a merger. The merger puts two very well-recognized names in the area and the real estate industry together under one company banner, subsequently bringing together the Realtor of the Year in Wild and the Land Realtor of the Year in Bridevaux. "Rushing has sold its fair share of housing and commercial properties, but Wild and Associates really have that ramped up in its history. 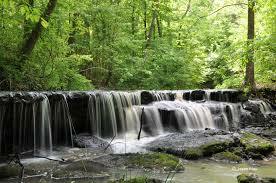 Wild and Associates will fill a gap for us," Bridevaux said. "We chose each other," Wild said. "It's been a good thing. We're both excited about the opportunities and ready to get after it." With the merger, the combined companies now have a much larger inventory of land, homes and commercial listings, as well as additional staff to provide extra assistance to a growing customer base. "I look forward to getting the word out and showing our customers and clients that two great companies can be even better than before," Wild said. Wild Realty has always focused on quality, service and integrity, and has consistently been ranked among the best in the country by customer satisfaction surveys. The full-service real estate agency has been widely recognized as leading the real estate profession in Southwest Mississippi. Doug Rushing Realty, Inc. provides not only their expertise of property and Mississippi real estate, but also their practical knowledge. Dedicated to helping their clients find the perfect property to suit their needs and budget, the experienced and professional team of agents have the real estate expertise and local knowledge to match clients with the perfect real estate investment for your future. Doug Rushing Realty Inc. specializes in a variety of Mississippi property types, including houses, commercial property, farms, ranches, hunting land and timberland. A customer-focused firm, the real estate company believes the success of its clients equals success for the business. That's why the team goes the extra mile to provide exceptional customer service. From the wide-open spaces in the countryside to spacious family homes in town, Doug Rushing Realty offers a range of options for home and land buyers in Mississippi and Louisiana.